1. In the novels, the story is told using first-person accounts of different soccer players every chapter, whereas the adaptation is told primarily from the perspective of television broadcasters. 2. Throughout the book series, Friedman describes soccer balls as “not bigger than the size of an orange, lumpy sorts of things,” but for TV, producers beefed up the soccer balls to a whopping circumference of 68 centimeters and made them perfectly round. 3. In the novel, Portugal’s striker Cristiano Ronaldo is described as a “slight man with thinning hair and a long scar cascading down the right side of his face.” In the TV version, Ronaldo is portrayed by handsome, scarless actor Philippé Cardoza. 4. Ivan Strinić plays midfield for Croatia in the novel, and makes a crucial downfield pass in stoppage time against Cameroon. This character was cut for the TV adaptation. 5. The large-scale demonstrations protesting the relocation of impoverished Brazilians are largely glossed over by the TV version, whereas they are a prominent storyline in the book. 6. 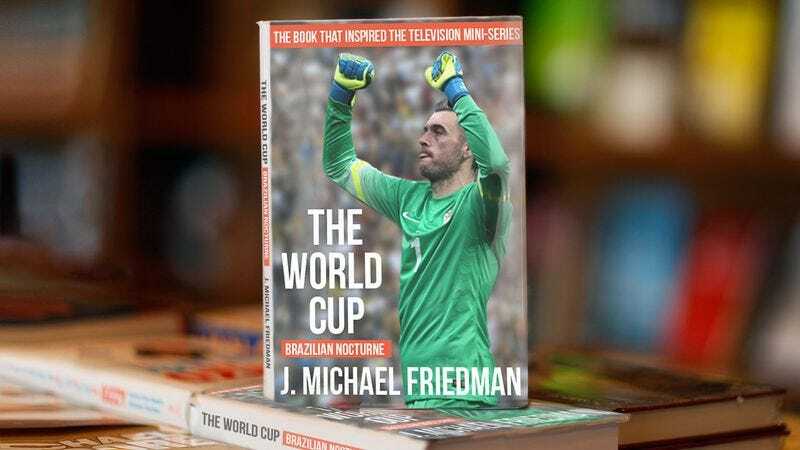 In Friedman’s novel, the character Lionel Messi dies in the middle of the quarterfinal match against France. In the miniseries, he dies in the semifinal match against the Netherlands. 7. The word “Visa” is said more than 600 times in the TV version. In the book, this word is never used.